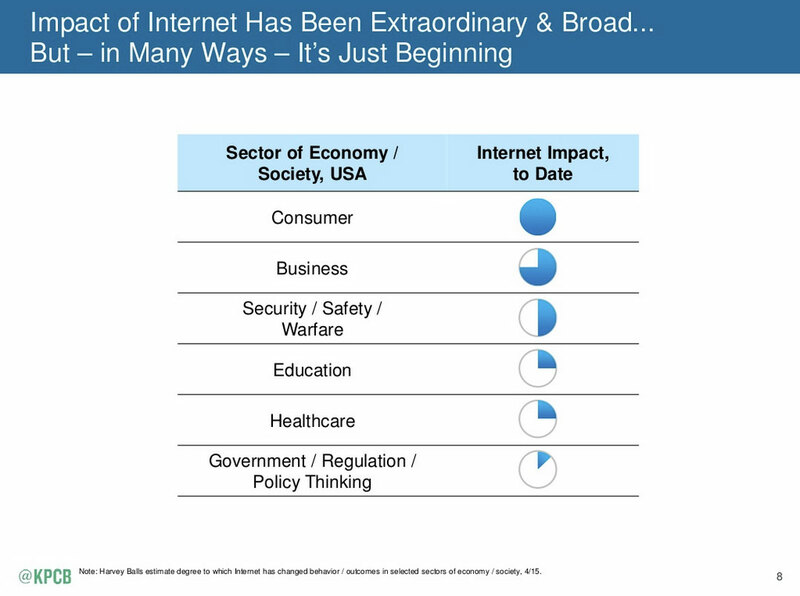 Silicon Valley analyst Mary Meeker’s annual 2015 Internet Trends report has been released and is an exhaustive analysis of the world’s digital evolution (often mobile first driven) and how it is affecting business, culture and information. Previous years’ reports have tracked emerging tech from mobile to 3D printing, and this year is no different. Imagine Facebook Messenger (or another mobile messaging service) replacing your telecom’s SMS and phone call infrastructure, your email provider, your credit card/cash payment methods, your taxi service, your food delivery, your game platform, etc.—all in one app platform. All of these separate tasks, apps and services are already starting to rapidly happen on some of these single platforms. Read more of the data-rich report and share it with your co-workers, then dig into the DigitalGov mobile archives to prepare your strategy to become more mobile-friendly.